Saranac Lake is located in the heart of the Adirondacks. Saranac Lake is all about cool and there’s nothing cooler than the area’s scenery and surrounding mountain peaks. With miles of lakes, mountains, and trails - there're always cool options for experiencing our region. 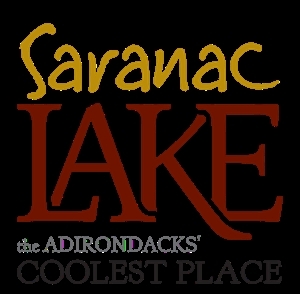 Enjoy all the outdoor opportunities Saranac Lake has to offer while on vacation! Explore Saranac Lake’s Artistic side - visit galleries, studios, entertainment & live music venues. Pack a picnic and spend a day on the water paddling or boating with the family. Try one of the Saranac Lake 6ers for a quick hike - just around the corner. Don't forget your fishing rod - from salmon, trout and bass, to pike and perch, there are so many reasons to wet a line here! Jan 3.0 F° 14.5 F° 26.0 F° 2.7 "
Feb 4.0 F° 16.5 F° 29.0 F° 2.2 "
Mar 13.0 F° 25.5 F° 38.0 F° 2.8 "
Apr 27.0 F° 39.0 F° 51.0 F° 3.0 "
May 38.0 F° 51.5 F° 65.0 F° 3.3 "
Jun 48.0 F° 60.5 F° 73.0 F° 3.9 "
Jul 52.0 F° 65.0 F° 78.0 F° 4.0 "
Aug 50.0 F° 63.0 F° 76.0 F° 4.2 "
Sep 43.0 F° 55.0 F° 67.0 F° 4.1 "
Oct 33.0 F° 44.0 F° 55.0 F° 3.4 "
Nov 24.0 F° 33.0 F° 42.0 F° 3.5 "
Dec 11.0 F° 20.5 F° 30.0 F° 2.9 "
Throughout the year is Saranac Lake residents see all 4 defined seasons. We have several volunteer and paid positions for seniors through the hospital, chamber of commerce, variety of clubs, and senior center.